Having just started riding road bikes (before that it was strictly off road and fat tyres), This mag has powered my road cycling ambitions ever since. It featured in its "wish list" section the Independent Fabrication XS, which I treated myself to (awesome frame), and a Scion Aerotech case, which I also ended up having. But its biggest influence over the last 6 years has been the ultimate bucket list of cycling climbs...."50 Greatest Climbs And How They Became Famous"
By definition the “Circle of Death” is the hardest Tour de France stage in the Pyrenees. 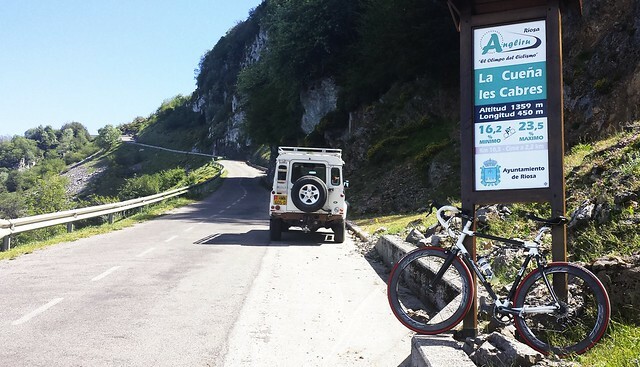 This route with over 4900m of climbing which includes the Col d’Aubisque (1,709m), Col du Tourmalet (2,115m), Col d’Aspin (1,489m) and Col de Peyresourde (1,569m) is nearly the same route as stage ten in 1910 when the the Pyrenees were first introduced into the Tour de France. Without doubt, the hardest challenge yet, we can only hope to stay in the saddle and not get off and push.